Perhaps one of the hallmarks of a great online business is their ability to reach their customers. It can be difficult to provide customers with adequate updates on any kind of large scale. Businesses can’t thrive unless they seek out new avenues to connect with their clients. Newsletter e-mail templates provide the perfect way to get the attention of the most valuable individuals. They essentially give you the ability to send sleek, professional e-mails to a wide cache of your customers with relative ease. They are also mostly compatible with all major e-mail providers like Yahoo Mail, Gmail, Hotmail, and even mailboxes inside iOS devices. Of course, these templates aren’t limited to those in the business world. They can be used to send out traditional letters or announcements on a large scale. In any event, you won’t have to design anything yourself. 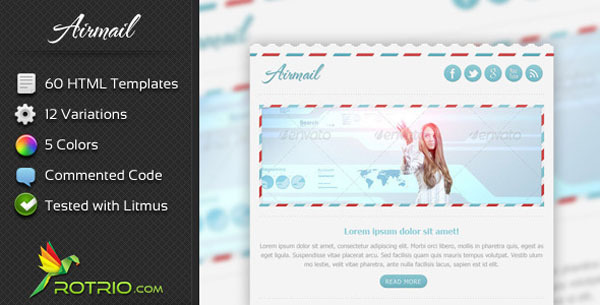 These responsive email HTML templates already use written code and are primed for inclusion in your website. Many of them provide options to show off your products, list upcoming events, or generally keep your clients (or those subscribed to your newsletter) abreast of all of the goings on with your organization. This really takes a headache out of web design and customer contact in an aesthetically pleasing and organized way. 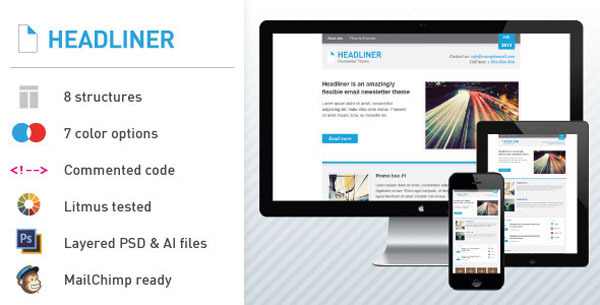 Below is a list of 20 of the best HTML newsletter e-mail templates for your website. 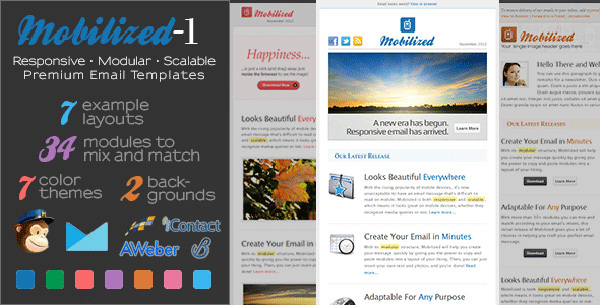 Responsive Newsletter Email Templates are released constantly, some free, some premium. Featuring 60 e-mail templates, 6 predefined layouts, and 10 different color options, Responsensive sets the bar for bulk email templates. 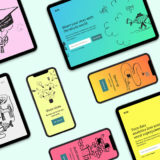 They have templates that allow you to make announcements, sell your products, and do virtually everything else you want with bulk e-mail templates. 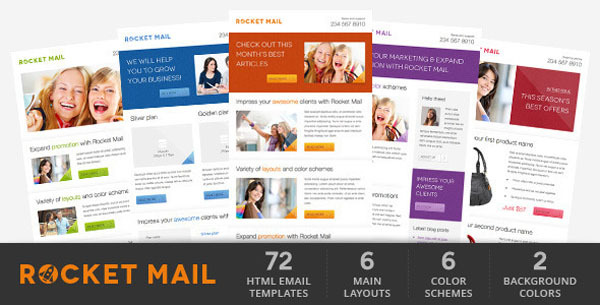 Rocket Mail provides you with a whole host of different options to choose from when it comes to e-mail templates. 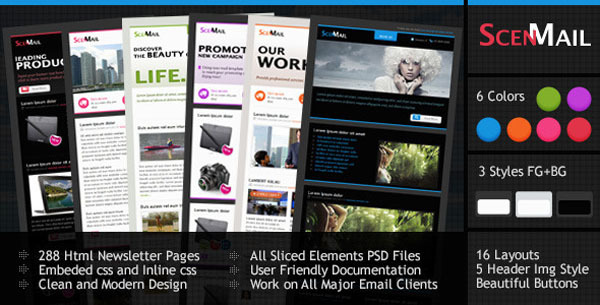 There are a total of 72 HTML layouts that can be utilized for all your mass e-mailing purposes. 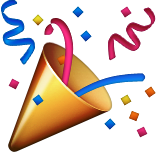 You can send out the e-mails using MailChimp and the HTML code is ready to be edited. 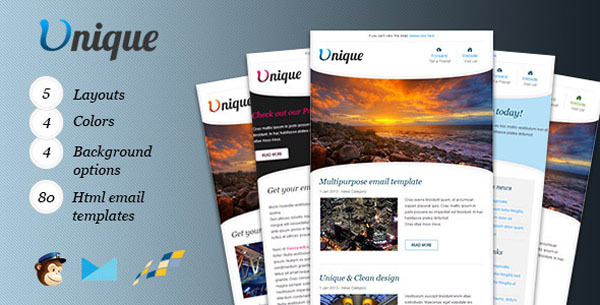 There are 80 e-mail templates with this package from Unique. It’s also got 5 premade layouts, vibrant colors, and the option for large images for the individual templates. You can also create your own customized layouts using the HTML code integrated into the system. 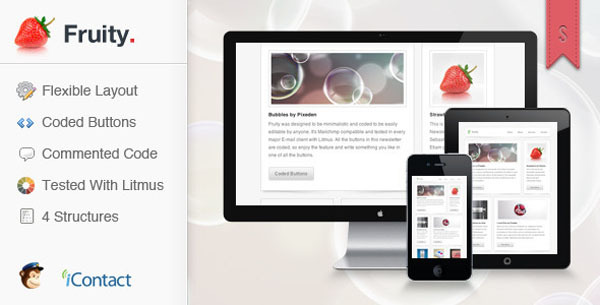 This newsletter plugin provides all kinds of customizability along with flexible layouts. They also feature a CSS slider to create newsletters that are truly streamlined for all platforms (including mobile devices). It also comes with 8 premade layouts and 24 social icons to really get your name on the map. With a total of 288 different options for HTML templates, Scenmail has provided you with a lot of different customization choices. There are 6 colors, 3 styles, and 16 different layouts which can all be mixed and matched to create the design that’s right for you. 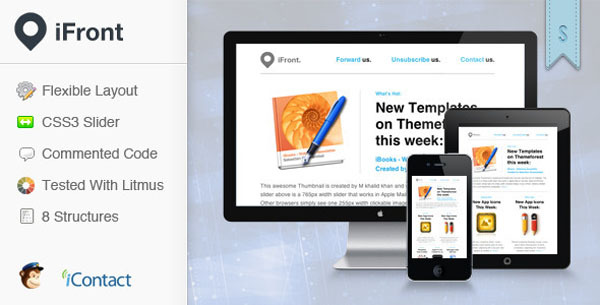 The smooth design helps your customers navigate through the newsletters supremely. 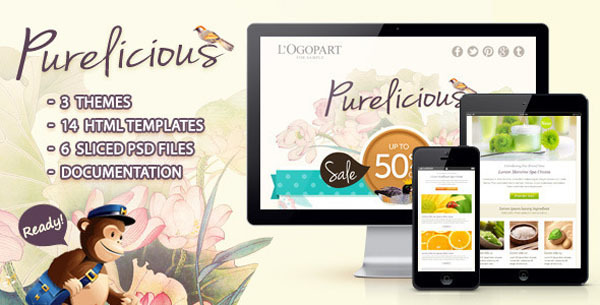 The Purelicious template comes with four colorful templates for each of two different themes. It’s clean, functional design provides responsive usability. It’s also relatively easy to create your own templates with their integrated table blocks. 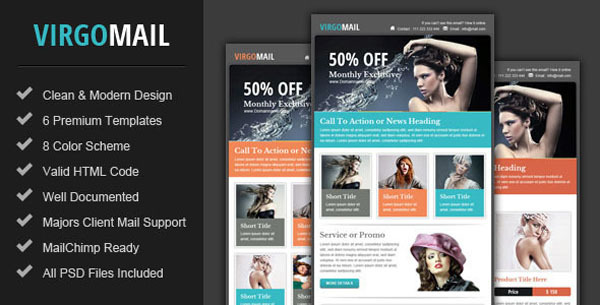 With 8 color schemes and 6 templates, Virgomail has created a product that is well-suited to a variety of different newsletters. It can provide a newsletter for selling items and also other newsletters for making general announcements. With its easy to edit code and minimal design, the Fruity template provides users with a professional quality newsletter template. There are coded buttons, four unique templates, and 8 different social icons. It’s also compatible with both MailChimp and iContact. A clean design and 8 different template options make this product nice to look at and easy to use. It’s got 7 different color schemes and a drag and drop image loader that lets you easily include images in predefined locations. 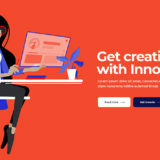 This is a simple to install and use template that can work for a variety of different websites. 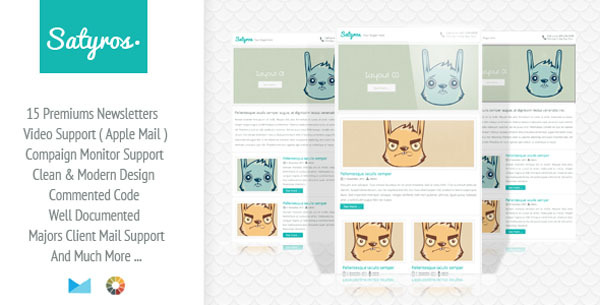 With 15 premium newsletters, Satyros has created a truly expansive template design. It also includes video compatibility for Apple Mail, which is something that many other templates do not have. In addition, it’s eminently editable and feature rich. 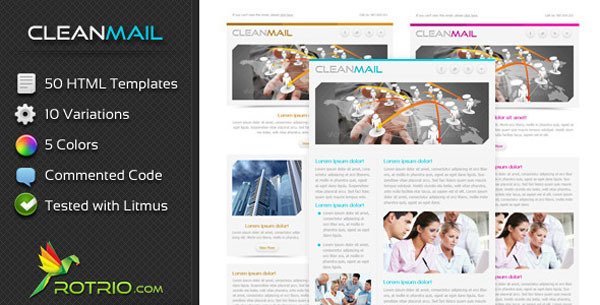 This e-mail template comes fully equipped with a wide selection of module and template alterations available. 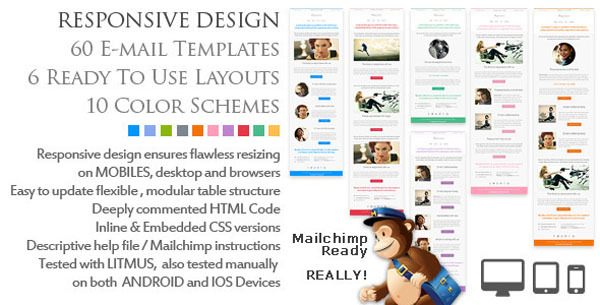 Indeed, there are over 400 module files and 98 readymade templates. It works well with newer mobile devices as well as older e-mail services like Microsoft Outlook. This uniquely designed template gives you the benefit of modern design in a mismatched grid setup. 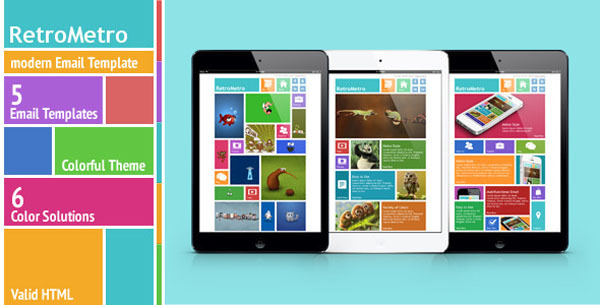 It’s capable of hosting a wide array of very colorful images along with relevant links back to your website. The individual squares come in different sizes and there are four different structures and a total of 30 unique templates to choose from. The AirMail template comes with 12 distinct page layouts and over 60 total templates to choose from. It comes in a bright, navigable design that will make it useful for any potential recipient. 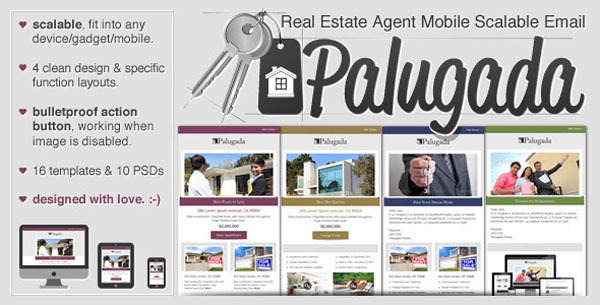 Designed with real estate agents in mind, the Palugada scalable e-mail newsletter provides a whole host of options that can help you land the sale every time. It comes with four different layouts and 16 total templates, each one optimized for real estate agents. It’s even highly functional on mobile devices so that you can reach your clients wherever they might be. Optimized entirely for tattoo shops and artists, this newsletter template gets your artwork out to the masses of previously satisfied customers. 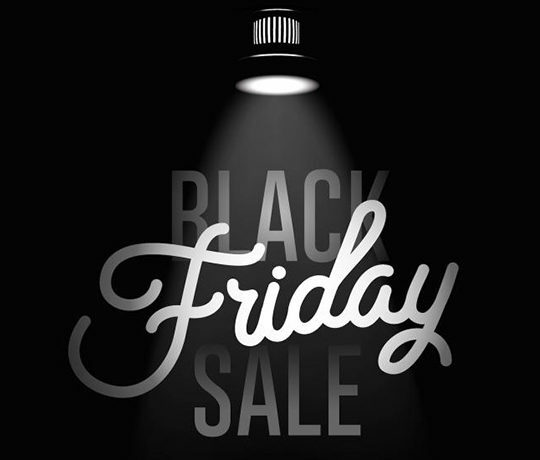 It can also, of course, keep any newsletter subscribers abreast to all your news and any special deals you might have to offer. It comes in 4 different templates, each with pictures and text to really drive the point home. As the name suggests, you’ll only find the cleanest, sleekest of e-mail newsletters with this template. It comes with up to 50 different options for templates and is highly professional and simple to use. 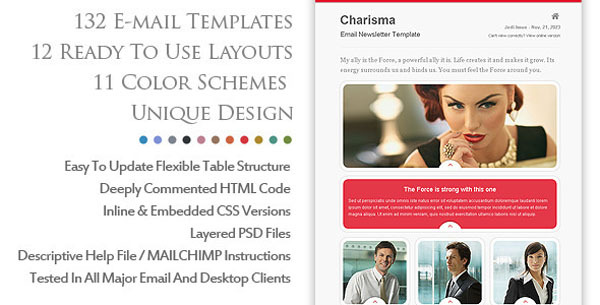 The Charismatic Emailer gives you the power to choose from up to 132 different templates. 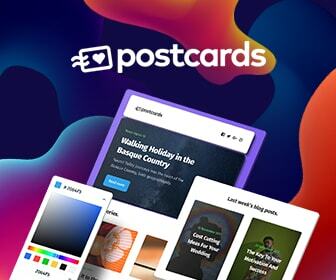 The 12 layout options are all unique and interesting to look at while the 11 color options give you the opportunity to brighten up your newsletter immensely. 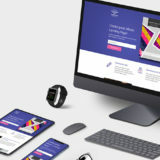 When it comes down to it, e-mail templates are vital pieces of equipment that can stake your brand in the memories of your most loyal clients. It’s important to always have that connection with your clientele because, in the age of short attention spans, it can be hard to remember certain online retailers or organizations. Sending out a newsletter—even if it’s just a quick, “Hello,” or a holiday greeting—keeps your business fresh in the minds of money. There’s no better way to manage this than with e-mail templates.